A facelift is one of many cosmetic solutions designed to give your face a more youthful appearance. As a surgical procedure, it involves a larger commitment than other skin rejuvenation treatments. However, it also yields more enduring results. If signs of aging have begun to appear on your face, it may be time to consider a facelift. Much like the name implies, a facelift lifts loose facial tissues that have fallen prey to the effects of gravity. A facelift also tightens your underlying muscles for enhanced facial contours, giving you a brighter, younger look. If you have one or more of these concerns, a facelift is probably a good option for you. This is especially true if you’ve tried BOTOX® Cosmetic or another injectable with little success. Non-physical signs that it may be time for a facelift include looking tired, angry or sad even when you aren’t. Low self-esteem and a lack of confidence can also be improved with the procedure. While there’s no age requirement for a facelift, patients are typically 40 and older. In 2017, the majority of facelift patients were 55 and older. The younger you are when you get a facelift, the more elastic your skin will likely be. This will help you achieve the best results possible. Many of our patients say they wish they’d had a facelift sooner because it took years off their appearance. Ultimately, though, it’s not about age. It’s about how signs of aging have manifested on your face. During your initial consultation, our plastic surgeons will determine whether a facelift or a different treatment would be best for you. Surgery isn’t for everyone. Ideal facelift candidates should be in good general health and free from infection or illness. In addition, they should have realistic expectations about what the procedure can do. If you’d like to address signs of aging in other areas, such as your eyes, a combination of facial procedures may be better suited to your needs. You will also need to avoid frequent or prolonged sun exposure for several months so your incision scars can fade. To know for sure if it’s time for a facelift, call 859-276-3883 and schedule a consultation at our office. 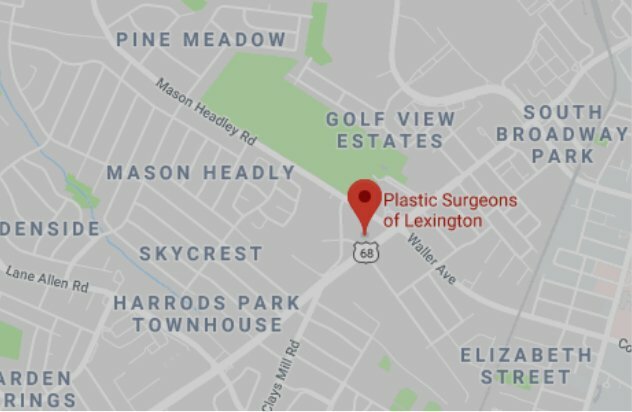 The Plastic Surgeons of Lexington serves patients in Frankfort, Georgetown, Nicholasville and other Lexington-area communities.